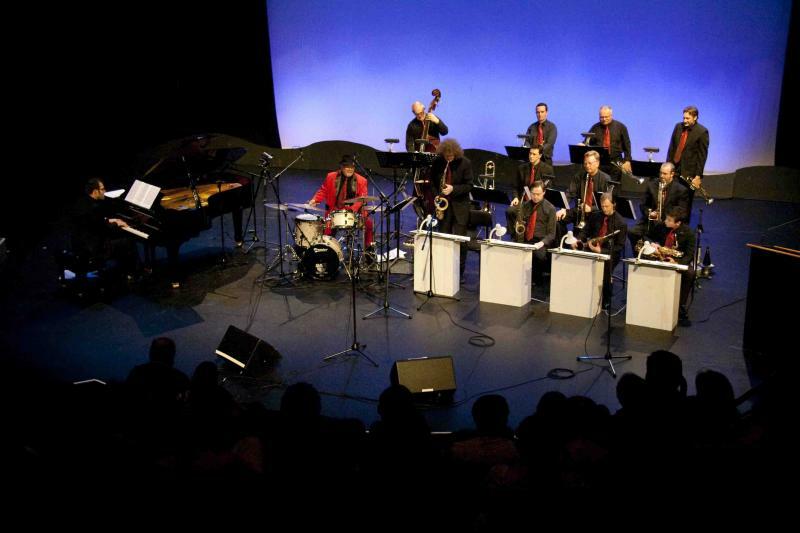 John Morrison's Swing City is Australia's premier big band. Based in Sydney, NSW, Swing City is available anywhere in Australia for your wedding, corporate event, jazz festival, swing dance club or even a 1940's style dance party. Swing City is a Sydney big band made up of Australia’s finest young jazz musicians who all share a love of music that swings. Many of them are band leaders in their own right and take time from their own groups to enjoy performing with Swing City. Formed in June 1999 by drummer John Morrison, who after spending 20 years co-leading bands with his brother James Morrison, embarked on a mission to form Australia’s best swing big band. The band’s repertoire includes material from all the world’s greatest big bands and extends from the music of Chick Webb in the 1920′s through to contemporary swing material written by the band members themselves. All the musicians play featured solos in the show accompanied by the hard swinging rhythm section led by John.